Mn is a no-fault state. Meaning any medical bills related to your accident will be paid be your auto insurance no matter what happened in the accident. This allows you to get care quickly without worrying who is going to cover the cost. 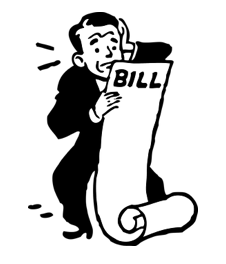 But there are some rules you must follow in order to get your medical bills covered. First, you do not need a referral to come see us at Desired Health Chiropractic. The sooner you come in for an examination the easier your auto case is usually processed. 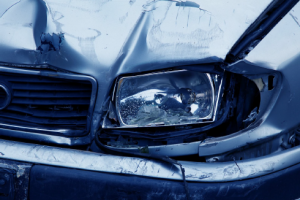 If you delay treatment the insurance company may try to make sure the injuries are not related to the collision. Second, pain relievers may be necessary for a few days after an accident but muscle relaxers are dangerous! When the body experiences trauma from a car accident, the muscles tighten up to protect the nerves in the back and neck. If you take a medication that relaxes the muscles you may do further, permanent damage! Third, don’t discount the pain. Injuries that are left untreated virtually always turn into chronic pain issues in the future. If you don’t take care of them now, the insurance company will not cover them in the future. That also holds true for any children in an accident as well. They may not complain or relate their issues to the accident so be an advocate for them and make sure to address any problems right away. Most importantly, don’t wait to get checked out, after even a minor accident. Some whiplash symptoms don’t cause issues for 2-6 weeks after an accident. Some symptoms from car accidents are weird, such as unexplained knee pain or wrist pain that starts a couple weeks after your collision. At Desired Health Chiropractic we are experts at what we do, and we will walk you through the entire process. Our goal is to help you feel better, heal stronger, and to take the stress out the insurance process. Call us today to get all your questions answered by an expert- 763-205-6192. Essential tips to get rid of snow with grace and ease.​or at least so you don’t injure yourself! Why do we live in Minnesota? Because we LOVE the snow!!! Ok, that is not true. So what do we do about huge snowfall messes? We put together a few tips about snow and shoveling to help you out. Tip 1: Don’t twist and shout! Push smaller sections of snow to the side before trying to lift and swing it out of your way. If you have a pile to move make sure you can tackle it head on instead of rotating your body repeatedly. Start with the biggest and heaviest spots first, like at the end of your driveway. That way your back is less fatigued as you tackle that tough pile. We dress in layers for the weather so as we warm up, we can take off a shirt or overcoat to regulate temperature easily. Also take layers off of big snow piles so you are not trying to lift a heavy load. Tip 4: Ice, Ice Baby! It may seem silly but ice is the best thing for you. After shoveling, make sure to go in and get a hot beverage and grab an ice pack out of the freezer while you are in the kitchen. Put ice on the low back for 10 minutes to reduce inflammation from all that hard work you just did. Your body is really good at telling you when something is not right. Just make sure you don’t ignore those signals. 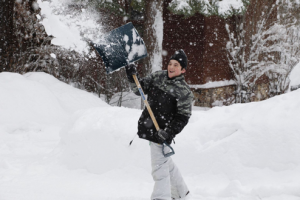 You may be sore from shoveling the next day, but any soreness that lasts beyond that is damage that needs to be addressed before it gets worse. Stop in and get a chiropractic adjustment to prevent lingering pains. We are winter magicians at Desired Health Chiropractic, and we promise to help you navigate the wintertime blues with excellent chiropractic care. And we are here to help your family and friends also. Any referral will be treated as a VIP in our office! If the joint injury is reduced, by aligning the bones of the spine, the healing and scar tissue will stabilize the area in alignment. If the joint is left out of alignment or is hypermobile, this can lead to future degeneration. To get the joint moving and functioning normally again, you need to have motion through the joint adjustment, and exercises to keep activated. One study showed that patients who wear foam collars after whiplash, do worse than patients who were actively mobilized without collars. It may at first seem counterintuitive to move when pain is there, but it’s all about moving within your pain tolerances. Usually small motions are still preserved. Instead many patients wear collars or do not move their neck enough. This causes the muscles to become more inflexible and contracted. Overtime it can lead to substantial weakness and even atrophy (wasting away). Medications and surgery will not correct the alignment of the spine. When the joint is sprained, it needs to be re-aligned to reduce the tension on the ligaments and disk. At Desired Health Chiropractic in Anoka, we can help you every step of the way after a car accident. We will help you feel better and get your medical claims paid with ease so you can get back to living your life. Call us today for a free consultation- 763-205-6192. The condition is often caused from a bulging or herniated disk pinching a nerve in the neck. The cause of this complaint can include both trauma as well as non-traumatic events. In fact, sometimes, the patient has no idea what started their condition, as they cannot tie any specific event to the onset. 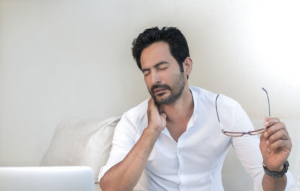 The classic presentation includes neck pain that radiates into the arm in a specific area as each nerve affects different parts of the arm and hand. Describing the exact location of the arm complaint such as, “I have numbness in the arm and hand that makes my ring finger and pinky finger feel half asleep,” tells us that you have a pinched C8 nerve. This same nerve can also be pinched at the elbow and make the same two fingers numb. The difference between the two conditions is when the nerve is pinched in the neck, the pain is located from the neck down the entire arm and into the hand. When the nerve is pinched at the elbow, the pain/numbness is located from the elbow down to the hand, but no neck or upper arm pain exists. 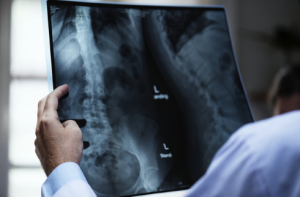 Examination findings usually include limitations in certain neck ranges of motion – usually in the direction that increases the pinch on the nerve. To determine where the nerve is pinched, there are a number of different compression tests that can recreate or increase the symptoms. We also do neurologic tests that include testing reflexes and muscle strength in the arm. When a nerve is pinched, the reflexes will be sluggish or absent and certain movements in the arm are weak when compared to the opposite side. At Desired Health Chiropractic, we do an extensive examination to determine exactly where the nerve is pinched and irritated. Our goal is to help you wake up ready to tackle your day. Call us today to see how we can help you feel better, function better, and ultimately perform better! Sometimes it’s the mattress being too soft or unsupportive. Or maybe the too thick hotel pillow has gotten your number. Sleep posture is very critical to spinal health. The neck has a forward arch, and this has to be preserved for there to be maximal relaxation of the spinal cord and nerves. Also the head needs to be supported when turning to side sleeping. 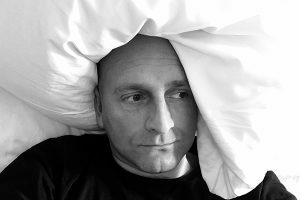 The pillow needs to be thick enough so that the head does not fall towards the shoulder, stretching the muscles and delicate nerves on the side of the neck. You need to rest your spine each night so that the tissues can repair and heal. It is important that muscles are able to relax, and that the bones of the neck are not placed into abnormal postures. Ever fall asleep on an armrest of a sofa, or in a car or plane? Most of us have experienced the stiffness that comes with this. But some of us have spinal bones that are already sprained and displaced from old injuries, which means good sleeping posture is even more critical. Simply a minor change from our usual bed or pillow is enough to make for a stiff neck in the morning. Or perhaps you thought a stiff neck in the morning was normal because it has gone on for years. If you are waking up with a stiff neck, then it is vitally important to get your neck and upper back evaluated for proper posture and alignment. At Desired Health Chiropractic we analyze body structure and movement patterns to see if there is extra stress being put on the neck. Our goal is to help you wake up feeling refreshed and ready to tackle your day. Call us today to see how we can help you feel better, function better, and ultimately perform better!